It’s been a long time since I sat down to write. It has been a long time since a lot of things have happened: Stood in the shower until I was ready to come out, slept through the night, watched a movie from beginning to end in one sitting, or stayed late in my classroom. I am not complaining. I wouldn’t change my life for anyone’s. It is just a fact that things are different now that I’m a mom. The other day, one of my teacher-mom colleagues told me, “Becoming a mom has changed you, more than it has changed anyone else I know.” Before you jump to my defense (thanks!) let me put her comment in context. Before my son, Desmond, came along, I was always the last teacher out of the building. There were plenty of nights where I would have to run my hand along the lockers of the hallway on the way to my car because the lights had already been turned off. I stayed late, I brought piles of work home, and I was never fully present at home because I couldn’t “let it go!” It certainly wasn’t healthy, but I truly knew no other way to teach. I didn’t think I was better, or more committed to my profession than the teachers who came in later or left earlier. I just didn’t know how or what to change. Also, I had been operating that way for so long, I didn’t know if change was even possible. As many of you know, our journey to parenthood wasn’t easy. (You can read more about it HERE.) 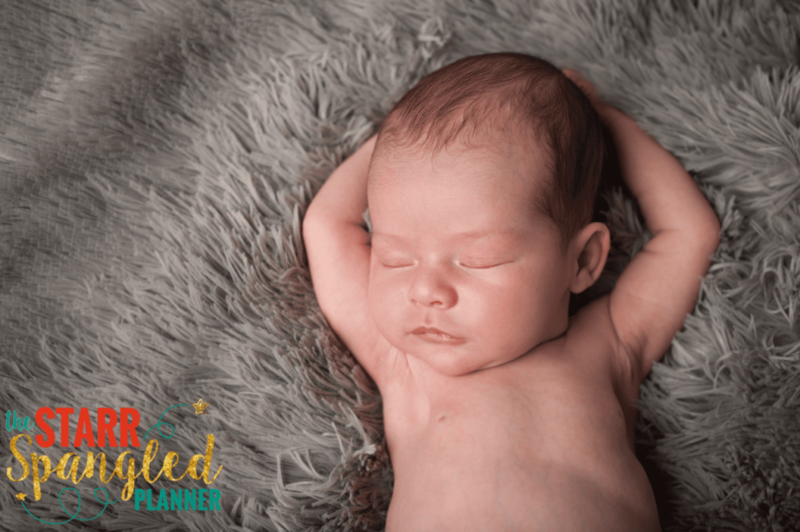 Even though I had years to wait and think about how becoming a parent would change my life, I don’t think I actually understood what change meant. I thought it meant fewer nights out to dinner, money spent on diapers instead of Anthropolgie (those dresses though!) and having to upgrade to a bigger car. I also knew that my hours at work would need to be cut back, which often sent my stomach into knots. If I’m being honest, I was scared. I was so scared. I was scared that I wouldn’t be a good teacher anymore because I wouldn’t have the same amount of time to commit to my students. How was I going to be able to be a good mom and a good teacher at the same time? I had no idea how to ready myself for this change. Well, Desmond came, whether I was ready or not. The love was immediate, and my heart was full. I spent the rest of the school year on maternity leave, and remarkably thought very little about my classroom. I had a wonderful maternity sub, who checked in occasionally with updates and questions. She loved our students, and I found that was all I needed to know to feel comfortable devoting 100% of my attention to my family. Before I knew it, summer vacation began. I spent five glorious months learning how to be a mom. We moved back into our home, which is what happens when your baby comes early and your renovation project runs late! As much as I tried to live in the moment, I knew that every new day was one day closer to going back to work. It was inevitable, but I wasn’t ready to face it. I am not the type of person who can give myself deadlines and stick to them. I say, “Oh, I’ll leave work in an hour to avoid traffic.” Well, that is always a lovely thought, but I almost always talk myself out of it. “If I just stay an extra few minutes, I won’t have to wait at the copy machine in the morning!” Two hours later, I’m still at work and I now say, “Well, I may as well stay another thirty minutes to avoid traffic.” Sound familiar? I made a very conscious decision to be responsible for daycare drop-off and pick-up. That way I had a time I had to be there, NO NEGOTIATIONS ALLOWED! While this proved to be a great decision, I didn’t realize a small detail that would make things even more stressful. Introducing the glamorous world of pumping! Goodbye prep period and lunch time! When was I going to do any of my planning, emailing, schedule meetings, or even just sort the piles of paper that would inevitably accumulate? I needed a new approach. I needed to rethink EVERY SINGLE ROUTINE I had established over the years. I needed to find a way to limit the amount of preparation my lessons required, without compromising quality instruction. It was a tall order! I am happy to say that almost 100 days into the school year, I have found a balance between work and home. I arrive 30 minutes before my students, and leave 30 minutes after dismissal. Occasionally I bring work home, but if I fall asleep without doing it, I don’t worry (too much!). It was a steep learning curve, but I know I will never get this time back with my son, so it’s worth it! My only wish is that I had learned to balance life and work years ago! I can’t even imagine what I might have done with all of that time! For anyone else struggling to find a balance between school and home, here are a few teaching tips and resources that have really made a difference! It sounds like a no brainer, but it’s true. Make sure everything in your classroom has a place. When you remove something from its place, make sure it goes back. That DOESN’T mean put it on the counter and say, “I’ll put that away after school.” Take the extra 3 steps and put it away in the moment. If you do this all day, every day, it will help limit your after-school to-do list significantly. Also, organizing my materials so they are easily accessible to students has helped tremendously! I no longer prep each individual center. 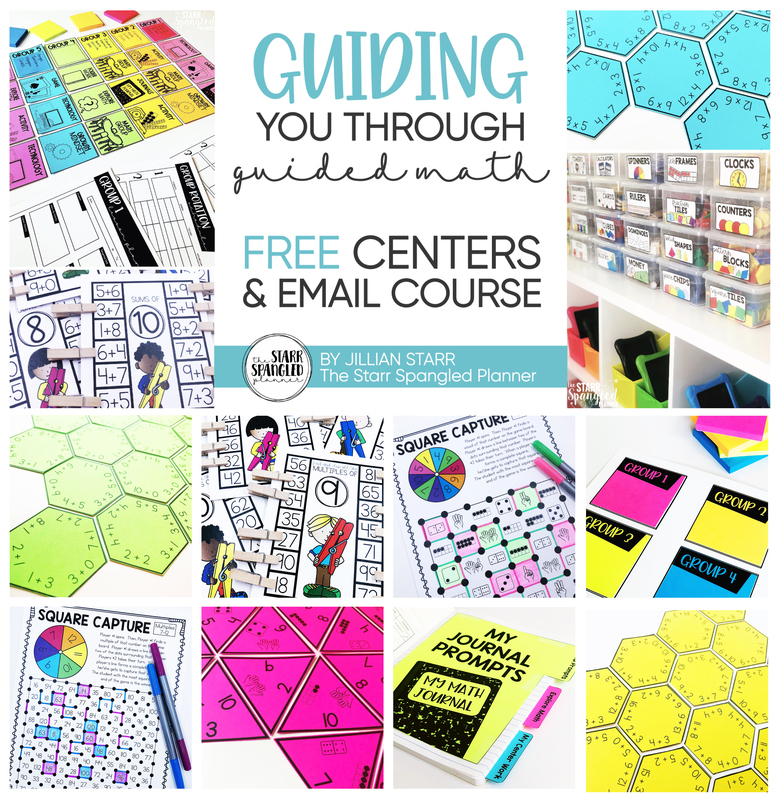 Students now get their own dice, cards, rulers, spinners, magnetic letters… you name it! We spent a lot of time at the beginning of the year learning how to access materials and put them away, but it was absolutely worth it! The time I save by not prepping those materials is crucial! You can find out more about my organization strategies HERE! This was a light-bulb moment for me! I used to have such an intense center rotation board, and I would prep each and every center the week before. I spent hours in front of the computer and photocopier creating these tailored centers to my student’s needs. While my students loved them, there had to be a better way! That is when I was introduced to Ashley Marquez’s Reader’s Notebooks. 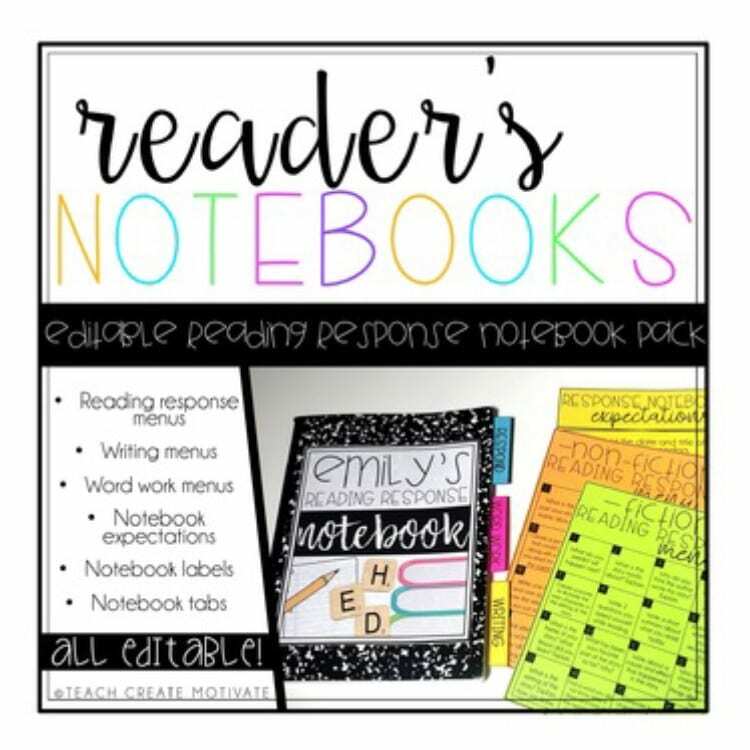 These editable reading center menus meant that I prepped their notebooks ONCE at the beginning of the year, and that was it! The regular routine means that my students always know what is expected at that center, but they are still highly engaged by the simple fact they always have a choice of which activity they complete! Now my student’s word work, reading response, and work on writing stations are always ready to go and I don’t ever have to think about it! GAME CHANGER! If you think that this might be something that will help too, click [HERE] to check them out! 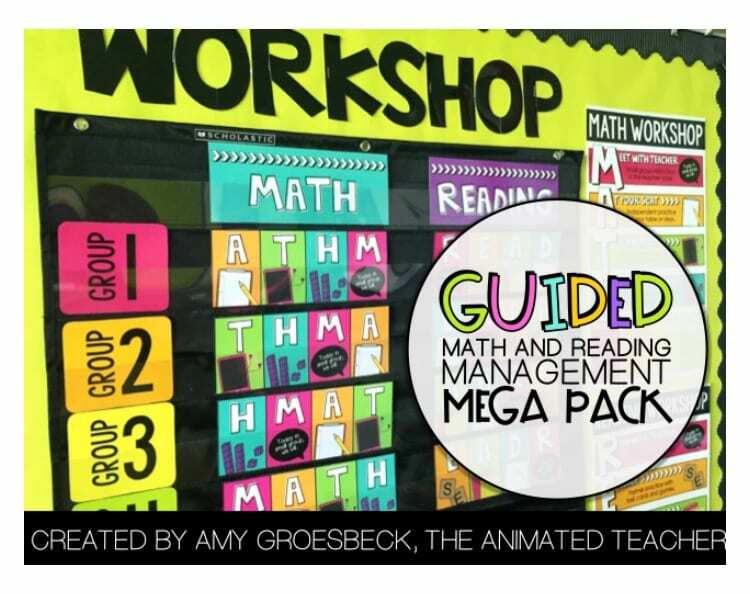 About this time, I also came across Amy Groesbeck’s Editable Guided Math and Reading Rotation Management Pack. To say this has streamlined my center organization is an understatement. I make each day’s rotation board ONCE and save the slide. My students are independent, and can easily navigate their choices. Can you say teacher’s dream? 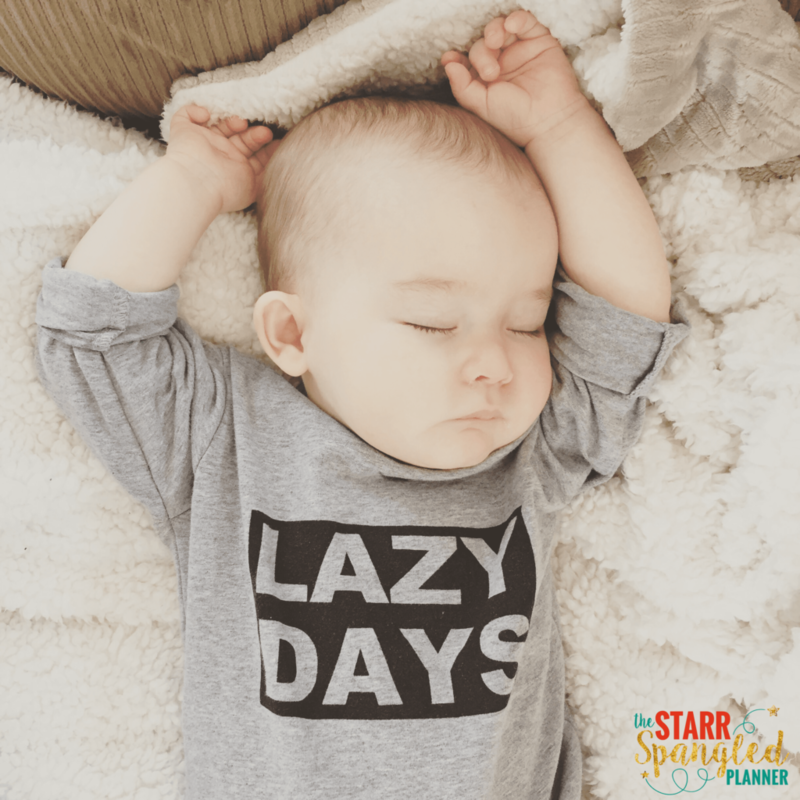 There are so many strategies out there for how to cut hours off of your work load! I wish I had started asking others about their strategies and listening to their advice YEARS ago! I also stumbled across Angela Watson’s 40-Hour Teacher Work Week Club. Her tips and strategies to being more efficient are INCREDIBLE! It’s a self-paced course, and I love how she encouraged me to focus on ONE strategy at a time. Over the course of the school year, the 40HTW has helped me shave off nearly 10+ hours each week! That’s 40 hours a month and I don’t even want to think about how many per year! That is time I can now spend at home with my family, recharging, and being a more present teacher for my students. I’m embarrassed to admit how much time I spent just TALKING after school. I was always the person who would pop into other people’s classrooms to say “Hi!” and then spend the next 20 minutes chatting. Do this a few times a day and you’ve spent over an hour talking that you could have spent in your classroom prepping. I’m not saying to be anti-social, but be mindful of your time! I will be honest, I hate homework! I know that’s a strong word, but it’s true. I always found it did more harm than good. It created stress at home for parents, who already have limited time with their children during the week. It didn’t actually tell me what students understood, since I never knew how much they had completed independently. Still, I felt the need to correct it, even though I knew it would rarely help guide my instruction. When I was looking for routines to change, it seemed like the perfect time to rethink my homework policy! I did a lot of research and searching online for different approaches to homework. 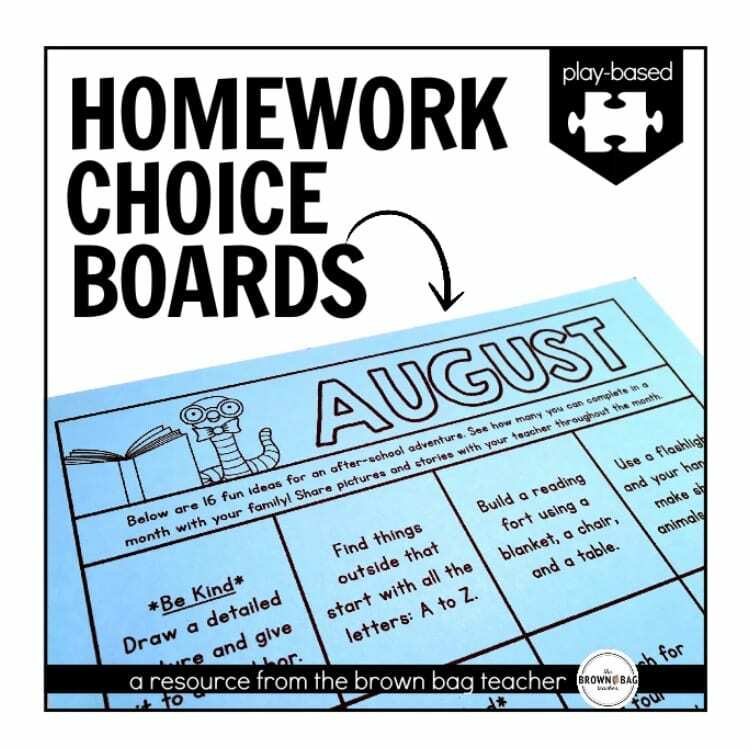 In my search, I discovered Catherine Reed’s Editable Play-Based Homework Menus. At the beginning of each month I make a few small edits to include science or social studies connections that are specific to my curriculum and I’m good to go. The parents love it, the kids love it, and I love how they are engaging in activities to be a better global citizen! The added bonus is that the time I would have spent correcting homework can now be better used to prep my lessons. This was so hard for me! It wasn’t just letting go of the laminating. It was letting go of the cutting, the glueing, and even the bulletin boards. I used to spend HOURS carefully cutting cardstock to prep for their interactive journals, or for their individual vocabulary rings. Over it! Now, my students cut and glue their own work. Another time sucker? Bulletin boards! Don’t get me wrong, I love having student work posted. I bulletin boards highlight our learning, help my students engage with content, and encourage them to take pride in quality work. However, the amount of time I spent displaying student work was crazy! Now, I (take a deep breath!) let my students post their work to the bulletin boards. I started using sheet protectors and clothes pins on my boards, and my students are responsible for posting their own work when they’re done. Although it kills my OCD sometimes, I find that my students are far more proud of their work, and spend more time looking at what is posted around the room. 7. Know that YOU ARE ENOUGH! I had to give myself the grace to know that I am enough! I do not have to be perfect. Perfection is not attainable. My students are loved, and I will always do right by them. I don’t need to stay until the lights go out to be a great teacher for them. I am enough! These are just some of the ways that I have learned to make my school work manageable without compromising the quality of my teaching. Like my friend said, becoming a mom has changed me. I am not the same teacher I was last year, but different does not mean worse. On the contrary, I think that I am a better teacher this year because I have finally learned how to find balance in my life. My life as a teacher-mama has just started, and I have a lot more to learn. I am sure many of you have discovered your own tricks to balancing work and home, and I’d love to hear from you! Now, back to focusing on home and a lovely lazy Sunday with family! Thank you for sharing such a thoughtful and helpful post!! 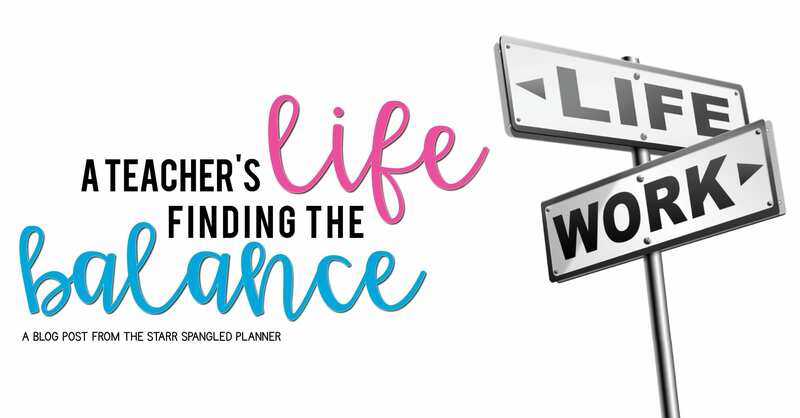 I have been trying to create more teacher balance in my life but had reached a dead end – your ideas are just what I needed!! Thanks for this post! It’s hard to find a balance with this rhythm of life. Especially when you need to combine 2 jobs and motherhood. I make some reminders, and plan all the day. Thank you for these tips. Thank you so much for sharing! Becoming mom is not easy, and the balance has been very difficult for me, not to mention finding time and energy to pump and prep. Even if I don’t use all of your strategies it is calming to know that it’s ok to skip the chatter at work and stay focused and get the job done so I can be home with my family.